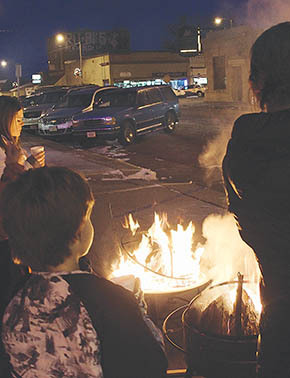 Many Albion area children and adults warmed themselves by the fire while waiting for hayrack rides last Thursday evening, Dec. 17, at the downtown mini-park. Dana Ienn and Doug Stuhr provided the rides for the fifth consecutive year as a holiday event. 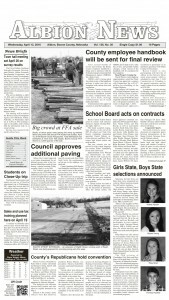 The Albion Chamber of Commerce and local businesses provided hot chocolate and cookies at the mini-park.